Last Saturday we met some cousins on the Green side of the family that we had not met before when we met Rupert and Sarah McKerron for coffee. Rupert is Val’s fourth cousin on the Green side of the family, and though we had been in correspondence with people from that side of the family, it was good to meet some face to face. Rupert and Sarah have a bush cottage that they named after the Green brothers, and we met to swap stories about them. 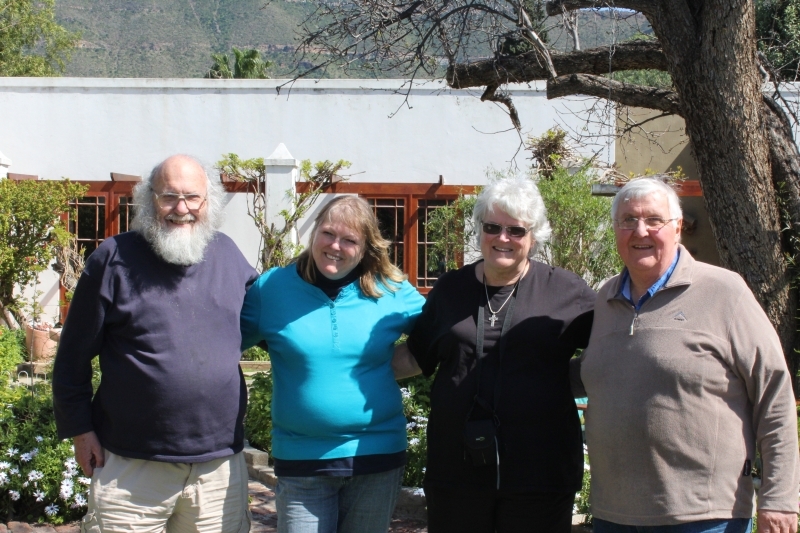 The Green family came to the Eastern Cape about 1846. The paterfamilias, William Goodall Green, who was born in Quebec in 1790, was in the Commissariat Department of the British Army based in Newfoundland, when he was transferred to the Cape Colony, probably as part of a boosting of British military strength because of the War of the Axe (1846-1850). William Green’s wife Margaret had died a couple of years earlier, and some of their 15 children died young, but quite a number of them seem to have come to southern Africa at that time. 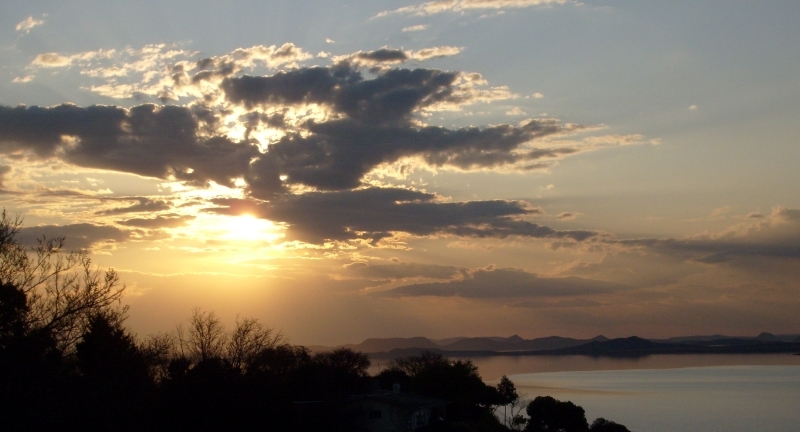 Henry Green, the eldest, and Rupert’s ancestor, had followed his father into the commissariat department, and accompanied a British force led by Major Harold Warden to what was then called Trans-Orangia (now the Free State province). 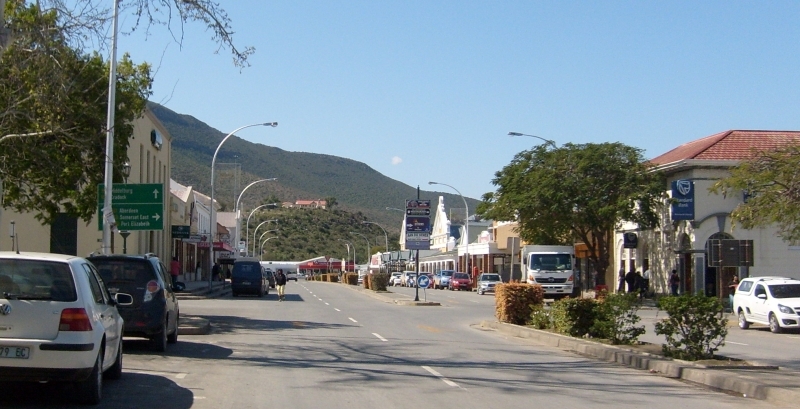 After establishing British authority and defeating the short-lived Republic of Winburg at the Battle of Boomplaats Warden was appointed British Resident of what became the Orange River Sovereignty, and he established a capital on the farm Bloemfontein. Henry Green succeeded Warden as British Resident in 1852, but his post lapsed in 1854 when the Sovereignty was abandoned and the republic of the Oranje-Vrijstaat was established. Another of the Green brothers, Edward, joined the Cape Mounted Rifles, took part in the War of the Axe, and was wounded in the thigh. He married Emily Ogilvie of Grahamstown, and after having two children they left, Emily to stay with family in England, and Edward to India, and later to China, where he took part in the Opium Wars, the aim of which was to persuade the Chinese government to lift its embargo in the importation of drugs. Edward Green never returned either to the Cape Colony or Canada, but eventually settled in New Zealand. Three other brothers, Charles, Fred and Arthur, went to Bloemfontein. Arthur, the youngest, got a job in his brother Henry’s office, while Charles and Fred, aged 25 and 21 respectively, set out to the north-west on a hunting expedition. In those days elephant hunting and the sale of ivory must have seemed like an easy way for young men to earn a living. Charles and Fred Green returned to Bloemfontein as their base after each hunting season, and spent their holidays playing billiards and cards with the soldiers, and taking them on hunting trips on nearby farms. Fred (Val’s great great grandfather) seems to have planned to settle there, because he bought a plot of land in Bloemfontein. Charles and Fred were friends with the Bakwena chief Setshele (his name is sometimes spelt Sechele), and left cattle in his care when they went west up the Boteti (or Botletle) River to Lake Ngami, where tsetse flies were bad for cattle (follow the links to read more about their journeys). On their return they found that their cattle had been looted by Boer raiders from the Transvaal, who had also wrecked David Livingstone’s house in Kolobeng, and abducted hundreds of women and children as slaves. Charles and Fred took Setchele with them to lay his complaints before the British government, in the person of their brother Henry, but he was told by his superior, the Governor of the Cape Colony, that since the signing of the Sand River Convention in 1852 the British government took no official interest in events north of the Vaal River. Charles Green may have accompanied Setshele back home, and then possibly went to Australia, perhaps with his sister Agnes, whose first child, Caroline Wilson, was born in Sydney in 1854. After reconnoitering trade routes to east and west, Fred Green seems to have decided that the western route was safer, and made his base in Damaraland, later called Hereroland, and now part of Namibia, and spent the rest of his life there. Charles joined him a couple of years later, but was drowned in the Okavango River when his boat was upset by a hippo in the early 1860s. I don’t think Fred ever saw any of his siblings again. Fred married three times. We know nothing of his first wife, other than that her name was Dixon and they had no children. The second was Sarah uaKandendu Kaipukire, a Herero princess. They had a daughter, but parted when the Hereros did not want her to accompany him to the Cape Colony. One of her descendants, Mburumba Kerina, is credited with the invention of the name Namibia.The third wife was Catherine Agnes Anne Stewardson, They had seven children, of whom four died young. Of the surviving ones, Fred Vincent Green was Val;s great grandfather. Henry disappeared for 6 years, married his cousin Margaret Aitchison in England, and returned to the Cape Colony in 1860 as Civil Commissioner and Magistrate of Colesberg. His wife and two children died soon after their arrival, but she still lives on as the family ghost. He married again to Countess Ida Von Lilienstein, and had several children by her, and many of the Green descendants in southern Africa come from them. When diamonds were discovered near Kimberley Henry Green went with a syndicate to work them, became a member of the legislative assemby for Griqualand West, and then retired to his farm near Barkly West, where he died in 1884. Arthur Green became a photographer, and achieved some fame as a pioneer in that field. His daughter Agnes married twice and had children, some of whom were born in Canada, but eventually returned to South Africa. We met one of his descendnats some years ago, Doreen Armstrong of Pinetown, who was also interested in the family history. Agnes Green, who went to Australia, married four times (twice to the same man). Her first husband was William Wilson, who drowned in the Tuross River in New South Wales. She next married Alfred Dawson Francis, who may have caused a stir in Durban as Alfred Francis Dawson. He committed suicide, and she then married William McLean Thwaites, once bigamously in Sydney, and the second time after the birth of their four children, in Adelaide. Though she never returned to South Africa, some of the grandchildren of each of her marriages did. Caroline Wilson, the eldest daughter, went to New Zealand to stay with her uncle Edward Lister Green. She married Roy Ashley Warre Brathwaite, and one of their children, Frank Brathwaite, came to South Africa and made a name for himself as a racing tipster. 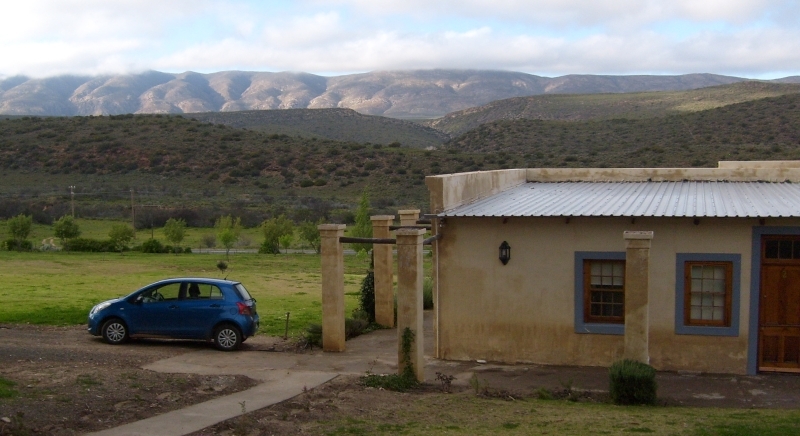 Arthur Walpole Francis, a son of her second marriage, lived at Langlaagte, near Johannesburg, and made contact with several of Fred Green’s family, who had moved to the Transvaal after his death. One of his daughters married a coffee planter from Tanganyika, and was caught in Germany diring the first and second world wars. One of her sons was killed in the German army during the invasion of Poland in 1939. Her letters to her sister in Sydney provide a fascinating insight into the history of that side of the family. Another member of the Francis side of the family was Peter Bridges, whom we met in Johannesburg, and whose granddaughter Jenny was at the same school as our daughter Bridget for a while. Peter discovered that on his mother’s side he was descended from another of the Green siblings, Caroline, who married Robert Leslie Cowan and died of cholera in Shanghai in 1863. 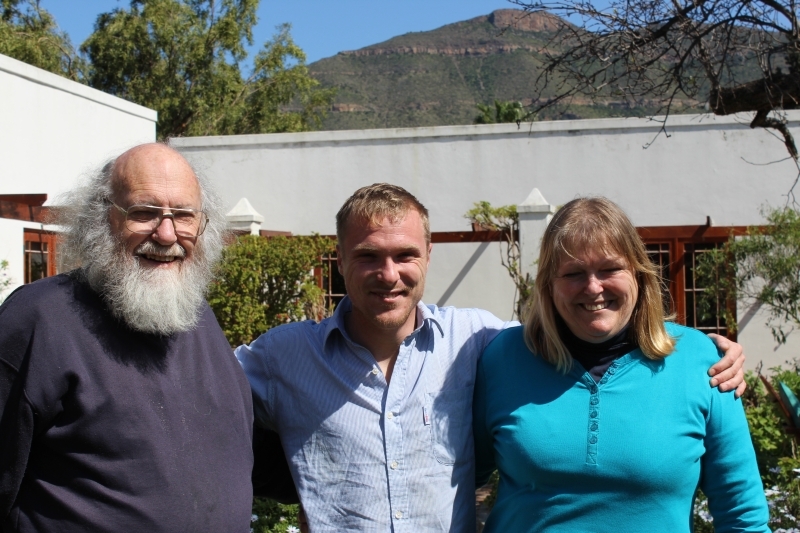 So the Green brothers had interesting lives, and seem to have spread the family to many different parts of the world, with quite a number from several branches still living in South Africa and Namibia.